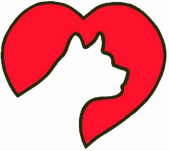 Happy Hearts Feline Rescue is a 501(c)(3) organization dedicated to improving the well being of cats and kittens by offering rescue, shelter, veterinary care and adoption. We are located near Manchester Michigan. Happy Hearts Feline Rescue shelter offers a safe haven for cat owners to surrender their cats if they can no longer care for them. Rescue services are available to individuals who have located a cat that has been abandoned, such as in shopping centers, parks, etc. Care of these cats is provided at our shelters and through a network of foster care homes. We give these cats and kittens a second chance by providing shelter, adoption services and necessary veterinarian care.